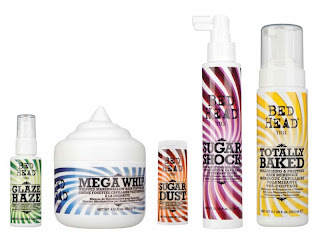 Candy Fixations is TiGi Bedhead's newest launch for fall. It comes with an array of yummy looking (and smelling!) products. I suppose I'm such a sucker for anything sweet smelling with cute packaging.. It had my name all over these products! I purchased mine at Cosmoprof,but you can purchase these at any beauty supply shop or salon that carries Tigi..also quite a few online stores carry them as well. I couldn't narrow it down to buy only a few products,because they all seemed like hair products that I needed..(OK,WANTED)hehe. I think the marshmallow Mega Whip will come useful for my boyfriend who likes spiky hair..it smells delish! This sweet treat candy coats each strand to fight humidity, add shine, and help speed up drying time. Indulge in the Crème Brule fragrance as Glaze Haze™ smoothes fly-aways, nourishes and seals the inner cuticle. Scrunch Me, Prep Me, Tease MeStart your style with this sweet treat! Apply to wet hair for long-lasting weightless movement and to enhance the performance of other styling products. This delicious styling sensation with a Lemon Meringue Pie fragrance is perfect for every hair type and texture. Whip into dry hair for light texture and a flexible hold. With a captivating Sweet Dreams fragrance, Mega Whip™ is great for coarse, thick or difficult hair. Shock Me, Twist Me, Tease MeCreate sweet waves with shocking body! Just mist into dry hair for a tousled look or layer throughout for extreme texture, fullness, and hold. With a Pink Spun Sugar fragrance, Sugar Shock™ adds manageable body without tangling. It’s a quick fix for your style addiction. Nearly, invisible micro-particles attach to the hair fiber to build depth and help lift. 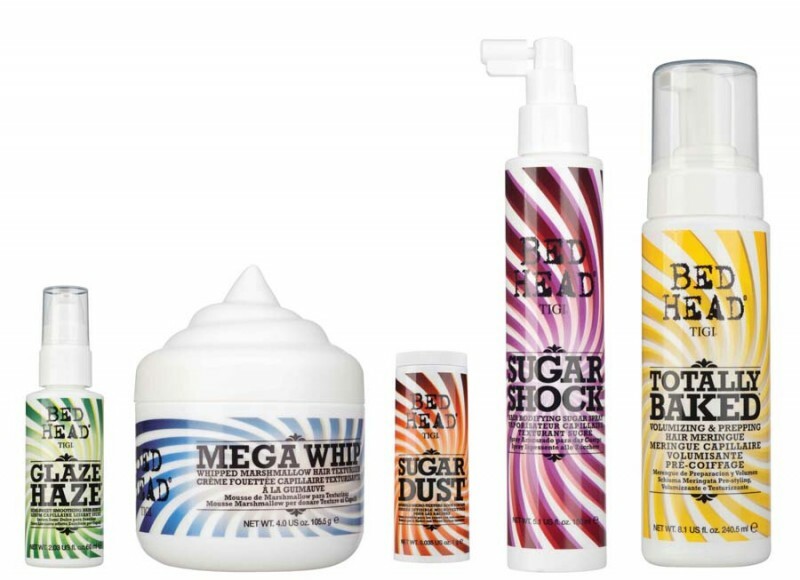 Sprinkle Sugar Dust™ to roots, then backcomb to reach new heights! Delight in a Grape Tarts fragrance as it adds volume and controls fly-aways. These each run about $14.99..A great value to satisfy your sweet tooth! Which one are you lemming?